At first the thought of another 1,000-episode series set in the same realm of Once Upon A Time made us cringe, as the current series has gone to hell this season. 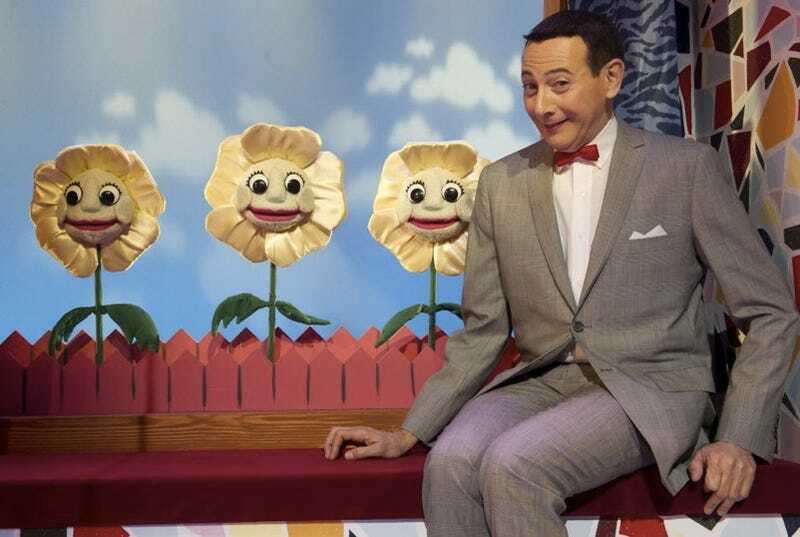 But then we found out that Pee Wee Herman would be voicing the White Rabbit in this Wonderland-centric show. In. In. In. So in. Deadline is reporting that Paul Reubens has joined the cast of the Alice in Wonderland-inspired series that still has no name (probably because The CW has already nabbed the name Wonderland for their Alice in Wonderland TV show... yeah there's gonna be two shows about Alice). Bottom line, Reubens couldn't be more perfect for the part, and just his involvement makes us happy. Obviously he will be some sort of CG monstrosity like the cricket in Once, but that just makes it even better. In other good news, Jane Espenson will also be working on this series as a consulting producer. And if you've been keeping tabs, all of her Once episodes are, hands down, the very best. [The series takes place before the curse in Wonderland] The story is told through the point of view of Alice (Sophie Lowe) who has a generous heart but carries the scars of a long hard life. She is joined by Cyrus (Peter Gadiot), Alice’s love interest, and the Knave of Hearts (Michael Socha), a sardonic adventurer. The series starts filming right after the new season of Once wraps.